Badal Mahal is located on the banks of the Gaib Sagar Lake and is known for it's amazing and artistic designs, a perfect combination of Mughal and Rajput architectural style. The palace was constructed by using Dawra Stones. The monument is constructed in two different stages. On one stage, Maharawal Gopinath built its verandah and ground floor whereas in second stage construction is done by Maharawal Punjraj (1609-1657 AD) where he made first floor, dome and veranda in ground floor with some renovation. All the three domes have half ripe lotus shaped designs on their tops and three half ripe lotus on the longest dome of Badal Mahal, making this palace more beautiful. 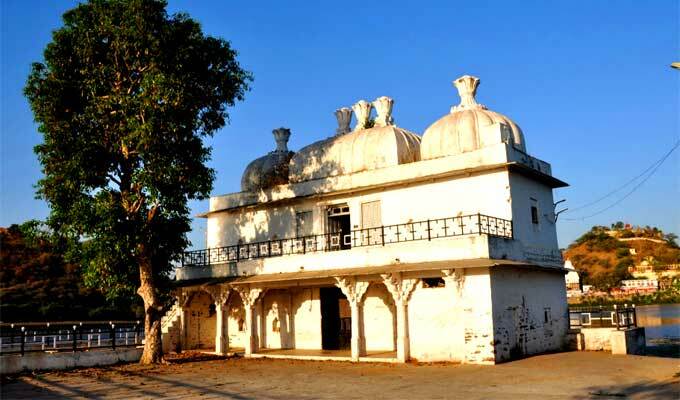 Constructed with a motive to make a leisure home, Badal Mahal also used for staying of state guests. After some time this palace used as camping palace for the Chief of Army staff. 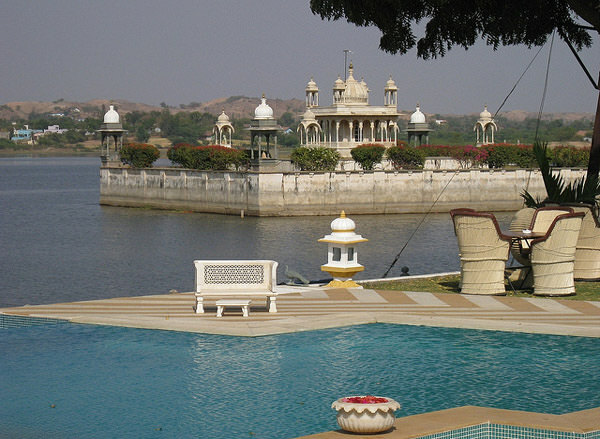 By Road: Badal Mahal is located on the banks of the Gaib Sagar Lake in Dungarpur. One can easily reach here by bus or taxi. By Rail: Badal Mahal is well connected through nearest Dungarpur Railway station to major cities railway stations like Delhi, Agra, Mumbai, Chennai, Bikaner, Jodhpur, Jaipur, Ahmedabad. By Air: Badal Mahal can be reach through nearest Udaipur Airport (132 km) which is well connected with regular domestic flights to Delhi, Kolkata, Mumbai, Ahmedabad, Jodhpur and Jaipur.